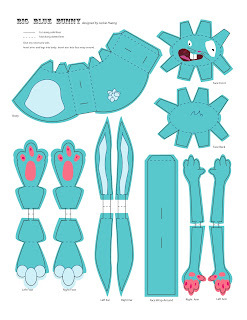 In Digital Illustration we had to make paper dolls. 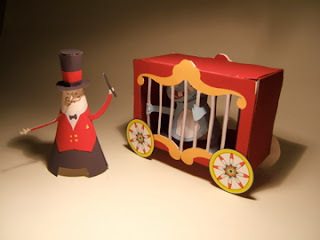 I did a circus series with a ring master, a circus cage, and a big blue bunny on the inside. The template for the Big Blue Bunny inside the circus cage. You can print this out and make it yourself if you'd like! 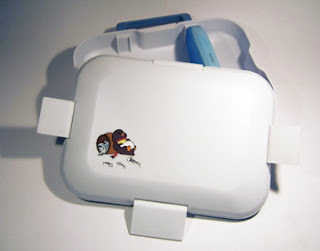 Our last assignment was to create a character and put them on a product. I created a penguin named, Miles, who was targeted towards 5-7 year olds. 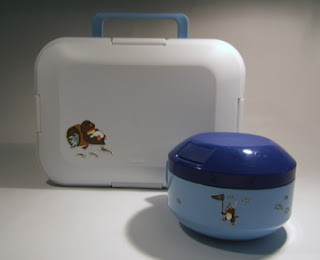 I put him on lunch products kids might take to school. 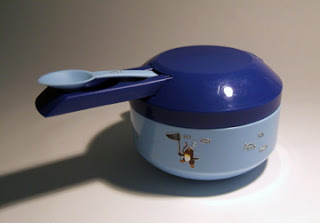 This was a soup container with pop out spoon. I put Miles fishing for fish on the side. 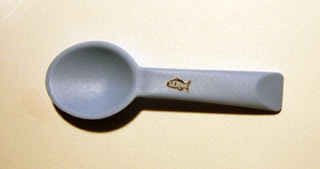 The spoon has a small fishy on it. 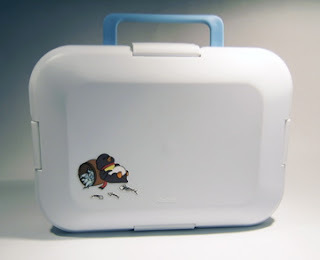 The white lunch box with Miles on it. Side view to show how skinny it is. 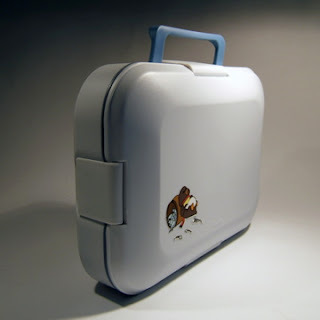 When it's opened it's a really cool lunch box. I spent forever looking for the prefect one and I even use it! That ringmaster set is cool. I'm guessing you'll love that 3D paper class.